Today Russian-Vietnamese relations are developing in a complex political environment both for Russia and for the Asia-Pacific region. 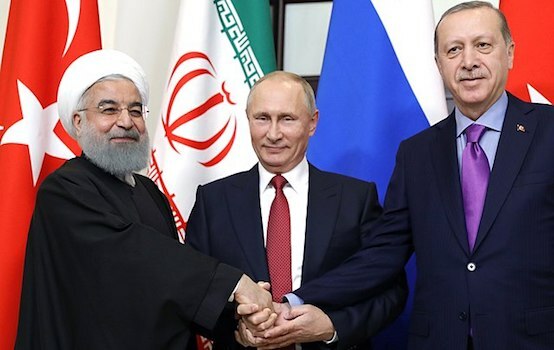 However, for Moscow, against the background of sanctions imposed by the West, the eastern direction of its policy has become a vital alternative. The task is extremely important – to create concrete substance to the “turn to the East” announced several years ago by the government. Under this policy, today there are several important areas, of which one of the most significant is Vietnam. The value of this country for the success of Russia’s Asian policy has been stressed repeatedly by President Vladimir Putin, who in his article published on the eve of the 2012 elections stated that Vietnam, together with China and India, was a key country for Russia in Asia. Indeed, today relations between Russia and Vietnam are at a very high level of mutual trust, and cooperation is developing in numerous areas – with the supply of Russian military equipment, joint projects in the sphere of oil and gas production, the construction of a nuclear power plant, the development of Russian tourism, and a number of other important industries. At the same time it is obvious that today these relations are still off what they had been during the Soviet era, when the USSR accounted for about 60-70% of Vietnam’s total foreign trade, and Vietnam covered 80-90% of its need for oil products from the USSR, 70% for mineral fertilizers, and 75% for rolled ferrous metals. The breakdown in these relations during the 1990s was too deep and too long. Regarding the period of decline in bilateral trade and mutual relations between Russia and Vietnam in general, there are different points of view. Some researchers believe that the end of the period of the collapse of the Russian-Vietnamese relations was 1994, when during a visit to Russia, the Prime Minister of the Government of Vietnam Võ Văn Kiệt signed the Treaty on Principles of Friendly Relations between Russia and Vietnam to define the main principles of bilateral relations under new conditions. The return visit to Hanoi by Russian Prime Viktor Chernomyrdin followed in 1997. But even after this visit, despite its positive effects, the revival of cooperation was still very slow. Negotiations by representatives of the two countries were mainly focused on the past – resolving issues related to determining Vietnamese debt and its payment procedure, as opposed to actual planning for the future. The main bright spot in bilateral relations remained the activities of the joint oil company Vietsovpetro which had become a lucrative and modern enterprise. Nevertheless, this was not the main driver of the recovery of mutual relations, that role was played by cooperation in the military sphere. In 1995, for example, of Russian exports to Vietnam 66% (230 million USD) was composed of helicopters, spare parts for aircraft, and other weapons components. At the same time as the supply of aircraft resumed, cooperation in naval armaments once again became topical. Interest in mutual cooperation was reinforced by the growing conviction of the two sides that they share common geopolitical interests and challenges. This feeling of comradeship has been the foundation for the formation of a strategic partnership and the restoration of trade and investment. It should be recognised that the process was complicated. Trade turnover grew slowly and unevenly, since during the years of absence on the Russian market, the Vietnamese were inundated by Asian, American, and European competitors. In 2005 turnover amounted to 912 million USD, and in 2006 almost 1.1 billion USD. In 2013, the trade turnover between Russia and Vietnam increased by 8.5% compared with 2012 and amounted to 3.9 billion USD, when Russian imports from Vietnam increased by 14.3% and exports declined by 1.1%. 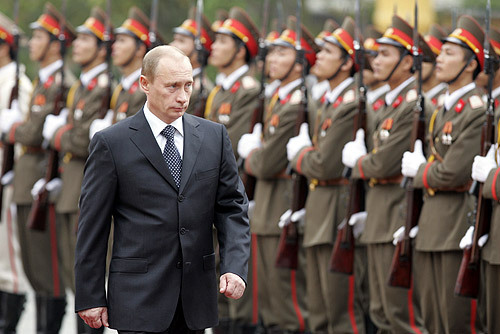 Vietnam’s share in total Russian trade in 2013 amounted to 0.43%. According to Vietnamese statistics, Russia’s share of Vietnamese exports in 2013 amounted to 1.44%, and Vietnamese imports – 0.65%. An interesting feature of contemporary Russian-Vietnamese relations is the fact that today Vietnamese businesses invest in Russia more than Russian businesses invest in Vietnam. In Russia there are about 300 Vietnamese companies. Their main spheres of activity are trade, food industry, and production of construction materials. In the beginning of 2014 the accumulated amount of Vietnamese direct investment in Russia was 2.47 billion USD. This encompassed 19 projects on Russian territory. The overwhelming proportion of Vietnamese investment, 91%, is made up of Russian-Vietnamese cooperation projects in the oil and gas industry. In its turn, according to Vietnamese statistics, in 2013 Russia opened 11 new projects and made additional investments in one currently existing project (0.15 million USD) with a total registered capital of 1,021,830,000 USD. In terms of investment activity among investor countries in 2013, Russia ranked fifth. In general, Vietnamese statistics place the Russian Federation 18th in terms of total investment, valued at 1.95 billion USD. It is obvious that the current levels of both bilateral trade and investment do not satisfy both sides and do not correspond to a high level of political cooperation. The prospect of a breakthrough and change in the situation lies in the rapid launch of a free trade agreement between Russia and Vietnam. After the free trade zone of Russia and New Zealand “stalled” because of economic sanctions, this project has become a priority in terms of the formation of such zones including Russia. It is planned that an agreement on this zone will be signed before the end of 2014 (in the extreme case – in early 2015). If the talks are successful (and there is every reason to believe they will be), the formation of a free trade zone will help organise a real breakthrough in mutual relations and in trade and investment. Several factors are now working toward the success of this project. The main factor is the high level of interest on the part of the Vietnamese business community on the one hand, and the growing Russian interest in entering Asian markets, including the Vietnamese market. The consequences of the West’s sanctions policy are evident here, forcing Russia to become actively engaged in the East. 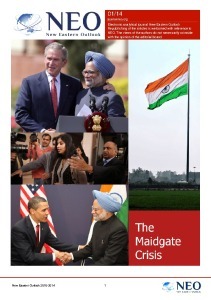 Equally significant is the fact that under conditions of developing a strategic partnership, the importance of which is only increasing in current circumstances, the top officials of both countries have repeatedly stated their firm intentions to create the best conditions for the rapid growth of economic ties. Finally a third important point should be noted – to attract direct foreign investment into Vietnam and Russia, appropriate joint public-private investment funds may be more actively used, which may give further impetus to trade relations. In this regard, the visit at the end of November this year to Moscow by General Secretary of the Communist Party of Vietnam Nguyen Phu Trong is extremely important. In the new conditions prevailing in the world today, the leadership of both countries is committed to developing and expanding mutual cooperation and to strengthening their geopolitical and economic ties. By 2020, both countries are calculated to achieve mutual trade turnover at the level of 10 billion USD a year due to the accelerated development of mutual relations and investments, and the expansion of contacts and exchanges at all levels. Dmitry Mosyakov – Professor, Doctor of Historical Sciences, Director of the Centre for Southeast Asia, Australia and Oceania and the Institute of Oriental Studies of the Russian Academy of Sciences, exclusively for the online magazine “New Eastern Outlook”.